The obituary published in The Arizona Republic follows the initial announcement from Scott Bloom. The obituary is printed in the Lincoln Journal Star; link provided below. We all lost a wonderful friend today. Michael Scott Ash passed away mid-day, Saturday - June 28th. His death was due to complications brought on by Alzheimer's disease. Mike's trusted friend Matt Feeney helped him until the end. He is shown here in a recent picture with his childhood buddy Janet Nearhood Epstein. 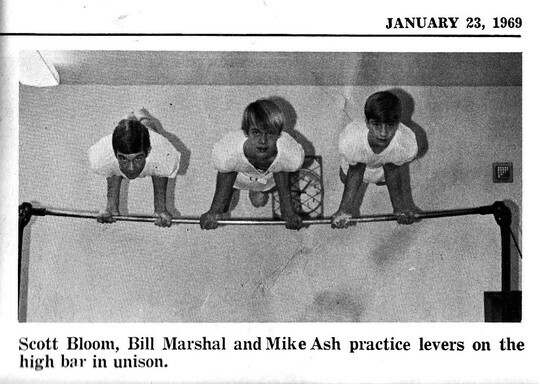 Also from the archives (1969), a picture with myself and Billy Marshall on the horizontal bar at Irving Junior High. Mike will be greatly missed, but remembered for his wonderful smile and infectious laugh. He loved to be called "DT" which stood for double twist, a tumbling trick he routinely landed with perfection. God Bless you Mike. 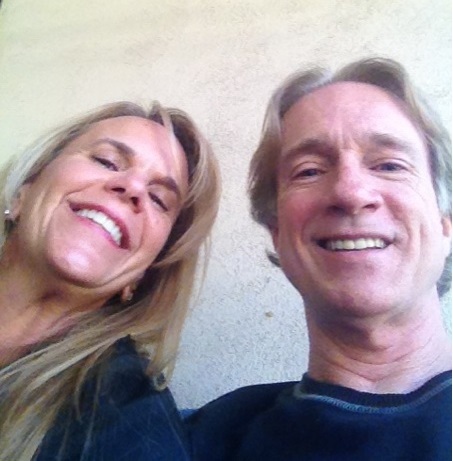 Michael Scott Ash, 60, of Scottsdale, Arizona died June 28, 2014 with his family by his side. Michael was born to the late Patrick and Bess (Carpenter) Ash, January 16, 1954 in Lincoln, Nebraska. Michael graduated from Lincoln Southeast High school in 1972. He attended Arizona State University where he received a BS and MS in Business Administration. Michael received his Juris Doctorate from ASU in 1982. Michael served as Corporate Counsel to Pinnacle West Capital Corporation in Phoenix, AZ. He served his community as Director and Secretary of Phoenix Children’s Hospital Foundation, Director and Treasurer of Scottsdale Cultural Council, and was a capital campaign donor to the Scottsdale Museum of Contemporary Art. Michael enjoyed staying active, art and architecture (personally designing much of the home he built at the community of Ancala), riding his Harley, hiking Lost Dog Wash Trail, and traveling the world. Michael will be remembered for his quick wit, intelligence, thoughtful nature, and generous heart. Michael is survived by sister Linda and brother Patrick of Lincoln, Nebraska; brother Timothy (Sharon) and nieces Lindsay, Erin (Doug) Nielsen, and Jamie, all of Phoenix, Arizona; aunt Georgia Shank of West Des Moines, Iowa; and former wife and friend Renita (Hempel) Penn. Michael was preceded in death by his parents, Patrick and Bess. A celebration of Michael’s life will take place in Arizona later this year. Arizona Humane Society – Mail Checks to: Arizona Humane Society, 1521 West Dobbins Rd. Phoenix, AZ. 85041, OR go online at: http://www.azhumane.org/ Or Call Melissa Overton at: 602-997-7585 Ext. 1057. Mike and his family lived just a block away from us, right in the heart of our childhood neighborhood at 24th & Harrison, Smith, and Woodcrest streets. Along with junior high (Irving) and high school, we attended first through sixth grades together at Prescott Elementary. We walked the same route home every day, rain or shine, with a straggling pack of neighborhood kids coming and going, varying the route among the side streets just to mix it up now and then. Mike was among the neighborhood gang of us who, as children, enjoyed what can only be described as a charmed life. We teamed up for kick soccer and baseball games played in the street, clearing only for the occasional car; we stayed out late on snowy nights to pound cars with snowballs as they drove down 24th Street; we spent countless days at Irvingdale swimming pool; we rode bikes and roller skated streets and side walks, and basically had complete freedom. I remember Mike as soft spoken and very smart. He was handsome, ran the fastest, always kind, and one of the regulars around our block. My thoughts and prayers are with Mike and his family. I am very sorry to hear of Mike's passing. He was my first real love. He is with God now. My prayers are with his family. God bless his soul. I haven't seen Mike since University days. I will never forget you for helping me in 9th grade Algebra. You were always kind and had a great smile. I always enjoyed hanging out with Mike. My first listen to Led Zepplin was at his house. I sat right next to him in Mr. Halls Architecture class at SE. 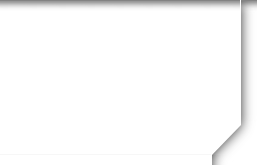 He always helped me out. We had a design and draw your own dream home project. I was always looking over Mikes shoulder and checking out his drawings. He always new what he was doing and his drawings were perfect. Thirty some years later Mike took me on a tour of the house he built in Scottsdale. It's like 2 blocks away from the Frank Loyd Wright Institute. Beautiful Desert Lanscape. The house was totally modern. Everything was total over kill. The whole house was like a 5 star Hong Kong Hotel room. The last time I hung out with Mike was at the Tempe Music Fest in 2008. We saw Jeff Beck. The Music good. We had a great visit and hogged out at the Pancake House. What a handsome nice guy with a killer smile. Say "Hi" to Bill for me Mike!